(ZIZ New) — Wednesday wrapped up a two-day workshop hosted by the Ministry of International Trade, Industry, Commerce and Consumer Affairs and the Ministry Of National Security’s Immigration department on the roles and responsibilities of the Immigration Department in implementing the obligations of the CSME and OECS Economic Union. 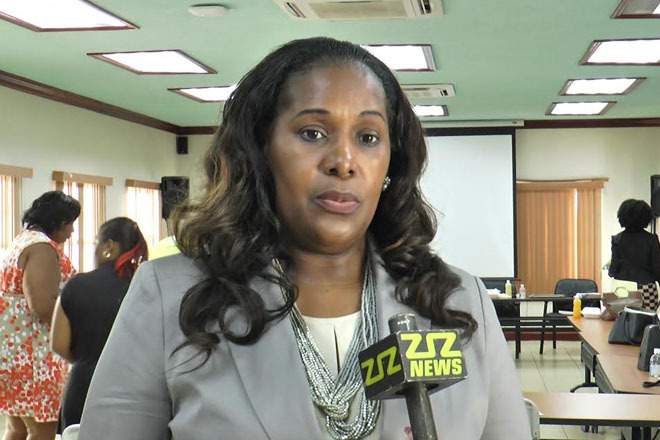 Director of Trade Jasmine Weekes told ZIZ News that the ministry hosted the workshop as a form of training because it is important for immigration officers to be aware of certain policies relating to the CSME. “The Ministry of Trade is a focal point for CSME CARICOM affairs and we thought it was an ideal opportunity for us to speak with the immigration officers—it is a form of training for the immigration officers because they are the first point of contact. The freedom of movement is a critical area of the CSME and we want to make sure we are not in breach or contravention of the regime whereby we deny anybody entrance to St. Kitts and Nevis,” she said. Consultant to the Immigration Department and facilitator at the workshop Alicia Huggins outlined the objective of the workshop stating that those objectives were met. “The objective of the workshop is specifically designed to improve the knowledge and understanding of immigration officers when it comes to free movement and persons within CARICOM. It’s also to emphasize the critical role immigration officers are required to perform in the implementation of the CSME and also to expose of the components and principles of the arrangement,” she said. 30 of the Federation’s immigration officers took part in the workshop that took place at the customs and excise department conference room from 9 am to 12:30 pm daily.